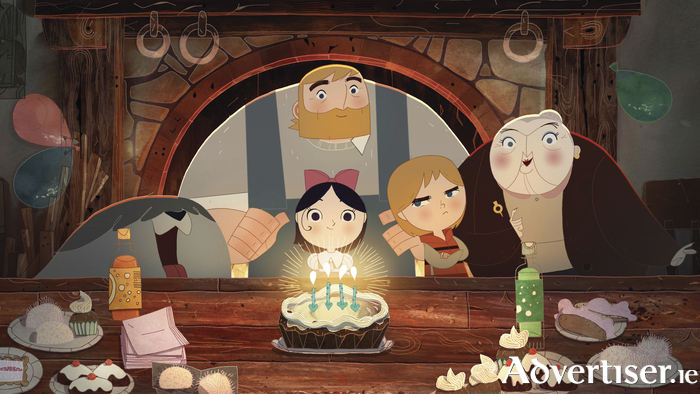 THE OSCAR nominated cartoon film, Song Of The Sea, will receive its Irish premiere at the Galway Film Fealdh when it is screened, as part of a gala event, at the at the Town Hall Theatre on Thursday July 9 at 6pm. Song Of The Sea tells the story of Ben and his sister Saoirse – the last Seal-child – who embark on a fantastic journey across a fading world of ancient legend and magic in an attempt to return to their home by the sea. The film takes inspiration from the mythological Selkies of Irish folklore, who live as seals in the sea but become humans on land. The film is the second Oscar® nominated film from Cartoon Saloon and director Tomm Moore. It was written by Will Collins, whose first feature was borne from his successful pitch at the fleadh’s annual Pitching Competition. It features the voices of Brendan Gleeson, Fionnula Flanagan, Moone Boy’s David Rawle, singer-songwriter Lisa Hannigan, and actor/comedians Pat Shortt and Jon Kenny. The music is by Bruno Coulais and Kíla. “The Galway film Fleadh is one of my favourite events in the year," said Tomm Moore. "We attend on a regular basis so it's very exciting to be premiering our new animated feature there this year. The atmosphere and opportunity to meet other filmmakers and fans always make it a really special event."